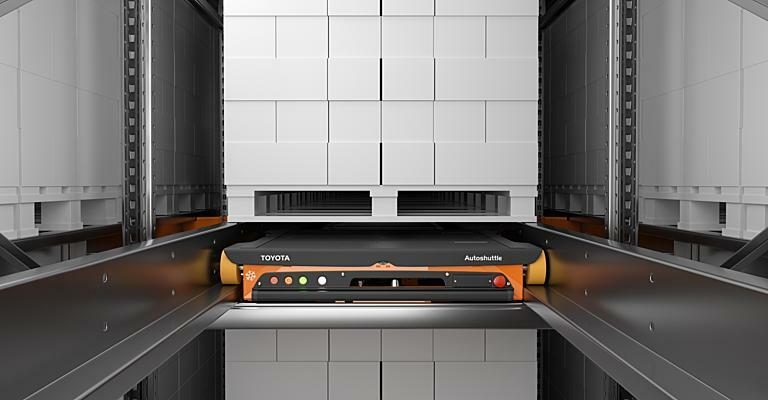 Thanks to its long and proven experience in lean manufacturing, Toyota Material Handling Europe knows towing solutions can make a difference in how materials are handled – reducing human effort, increasing safety and saving time and money. Therefore, Toyota has extended its tow tractor line-up with a wide range built by Simai, specialist in tow tractor solutions. A new electric vehicle, Toyota 3TE25, has also been introduced to replace the current heavy-duty range. 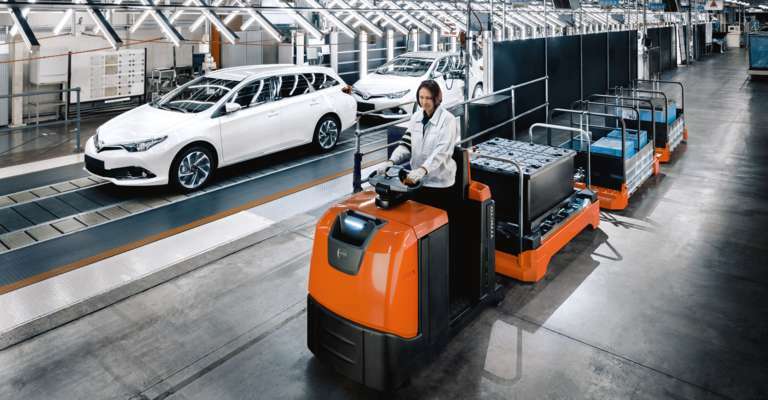 Based on the proven Toyota Production System, Toyota applies its lean approach principles to logistic processes, with the same goals – elimination of waste, maximum added value and total quality. With this lean thinking everything is moved just in time, generating a smooth workflow. Tow tractors are perfect for this, transporting multiple loads in a train of carriers from station to station, in a safe way. Automated towing is then the next step in lean transportation, offering higher productivity with less waste and a more sustainable way of material handling. The updated comprehensive towing range consists of only electric-powered vehicles, providing powerful and clean tow solutions from 0.8 tonne all up to 50 tonnes. Manoeuvrable indoor models, stand-on models for easy on/off, comfortable long-distance tractors for outdoor use; the T-motion range of Toyota can cover any application. 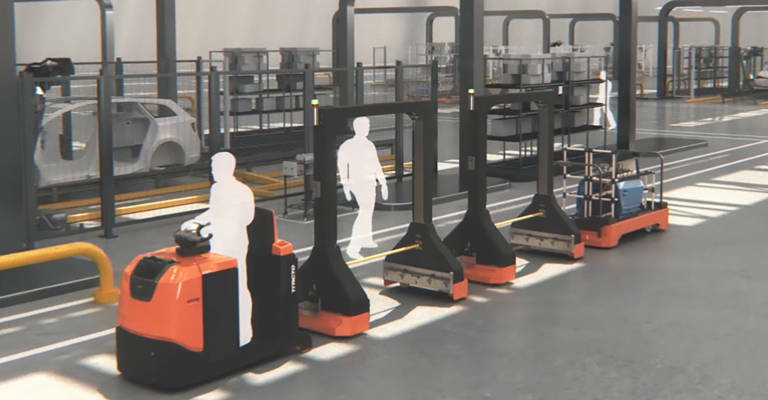 "From order picking or e-commerce to manufacturing or airports, or just wherever a load needs to be moved: for each business we have an efficient tow solution with dedicated load carriers," confirms Craig Walby, Director Product Management at Toyota Material Handling Europe, " moving any load to the right place in the right time." Thanks to Toyota's towing solutions, the amount of manual tasks has been decreased and there is a more efficient order. Let’s see if forkless is the way for you with these 6 questions you can ask yourself to find out if a tow truck could improve efficiency in your operation.